The journey to finding our passion and helping others can often come from surviving hardship. One such journey, is the story of how the Hearts N Hand organization was formed. This week we will introduce you to this organization. Hearts N Hand is a non-profit organization that focuses on educating organ transplant recipients, and donors. They are devoted to educating the community at large, specifically pre-transplant candidates and donor families, on the organ failure and transplant cycle. 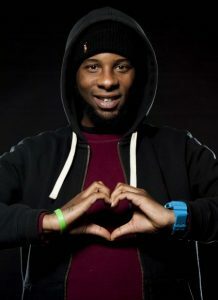 Muran Veniszee, a young man who experienced both the struggles and success of organ transplant, is the founder of Hearts N Hand. His experience led to him finding his calling to help others, in similar situations. First, let me introduce you to Muran. Muran was diagnosed with a Tetralogy of Fallot (a congenital heart defect) at birth and underwent two open heart surgeries before the age of 6. In September 2009, his life changed, when he collapsed at college. EMT responded and resuscitated Muran twice before rushing him to the hospital. At the hospital, he was told only 3% of his heart was working and that he would need an organ transplant. Then the waiting began. Luckily, after 11 months of hospitalization, Muran received the most amazing gifts… a new heart and liver. During those 11 months, Muran could not help but dwell on his thoughts and unanswered questions about what to expect next. The medical staff at the hospital took great care of him. In addition, he was blessed to have the support of family and friends. Even with all this support, there were many hours that he was left alone with thoughts and unanswered questions, swirling in his head. The story ended well for Muran. After 11 months, Muran received both a new heart and a liver and was eventually discharged. Forever grateful for the amazing gift at a second chance of life, Muran could not shake the memory of how it felt during the waiting period. He was moved to take action and do something to help others receive the resources that he had been yearning for throughout his experience. On April 2011, Hearts N Hand was founded to provide the support, education and hope that everyone should be entitled to during a life-event such as receiving an organ transplant. Through education, advocacy and networking for the sake of healthy physical and mental support pre and post-transplant. Incorporates volunteers and interns into the fabric of the organization as opportunity and necessity dictate. Does your facility provide organ transplant services? If you work at a facility that provides organ transplant services please reach out to Muran and learn how he can help support your program. He will be happy to discuss support and educational services for your patients. Submit a contact form here. Interning or volunteering? Be a hero and enjoy giving back to your community while helping others with a worthy cause. 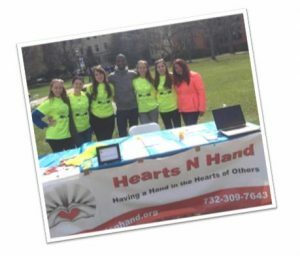 Hearts N Hand accepts interns and volunteers from any state. All volunteers, upon sign up, will attend a free webinar. The webinar provides you with lots of information regarding the organization along with a certification class. The class was developed by a physician and provides you with the fundamentals of the organ transplant cycle. The class covers aspects on staying healthy pre and post transplant and the early signs of transplant failure. Upon completion of your certification class, you will become an official volunteer member! For more details and/or to sign up, submit a volunteer request form here. We are proud to share Muran’s story and support his organization. 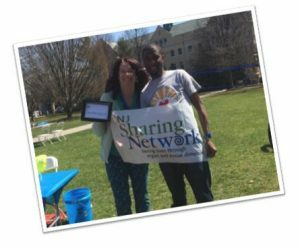 If you would like to help Muran grow his vision of helping communities support transplant patients you can donate to his non-profit organization here. Here at CardioServ, our mission is to inspire excellence. We think it is important to spread the word about other organizations that have also dedicated their life and career to inspiring excellence. Muran’s story and determination is inspirational. His is described as always having a smile on his face and telling jokes (whether you want to hear them or not! haha). Muran is a member of the Transplant Recipient International Organization and competes in the Transplant Games of America, an annual summer event that connects transplant recipients. Transplant Games of America provides an opportunity for transplant recipients to live out their athletic dreams! In 2014, Muran took home the Bronze in basketball and golf. 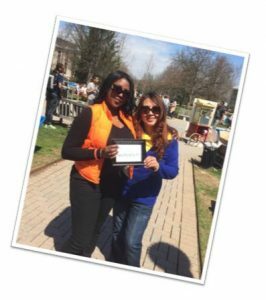 Keep up the great work Muran, and know that you are appreciated! Muran is also a member of the American Association of Medical Assistants, and is a certified surgical technologist and EKG technician. Feel free to connect with Muran. You can connect with him on LinkedIn and like Hearts N Hand Facebook page! If you are not able to volunteer or donate….please at least spread the word! Find out if your hospital provides organ transplant services and connect them with Hearts N Hand!